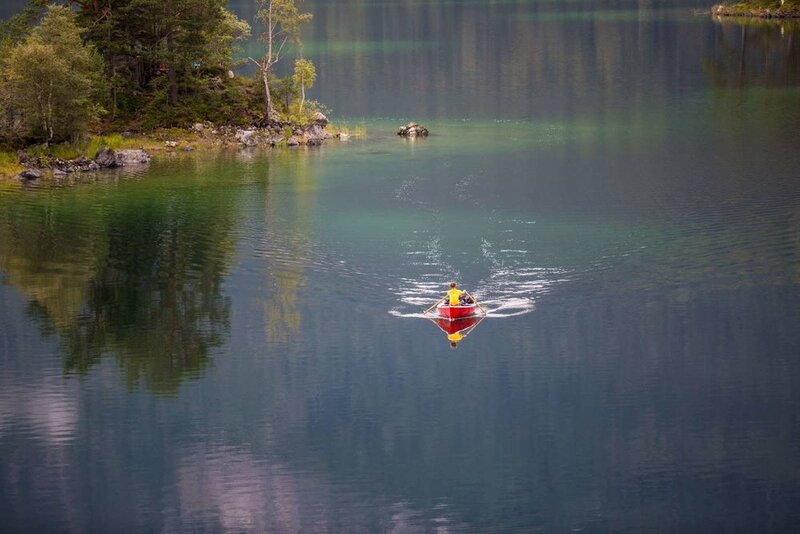 Alex spent the week with his friends at the Eibsee and trained for the waterline world record. 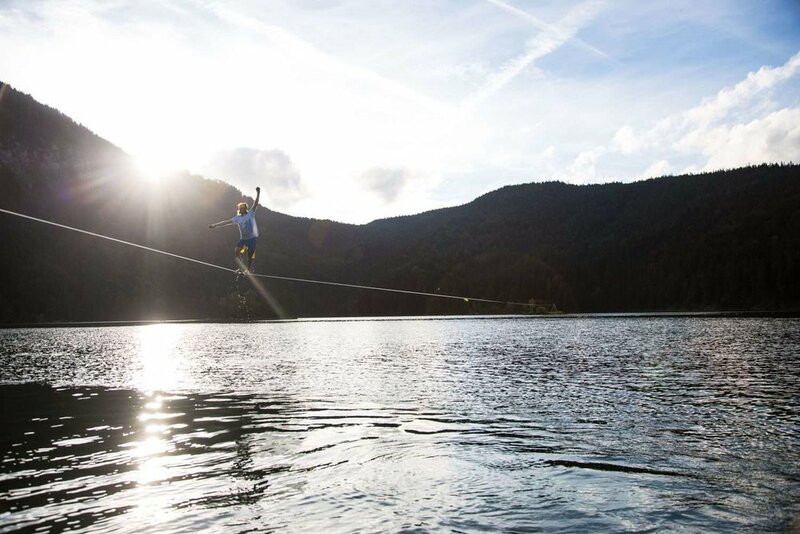 Different lengths of slacklines were rigged and the spectacular Zugspitze (highest peak of germany) in the background created a perfect scenery. The practice line was a polyester slackline with even more weight than the world record line and therefore more difficult to walk due to the stronger momentum. 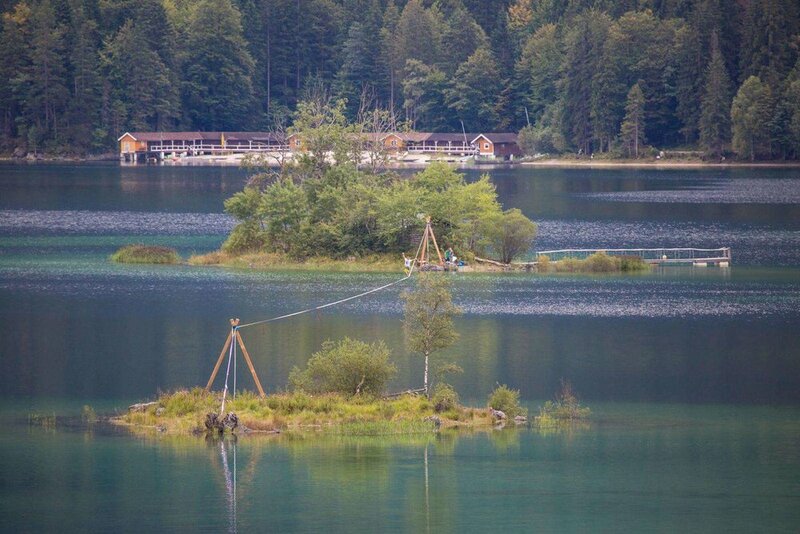 The practice lines were rigged between the eight islands of the lake and the world record line connect the „Scheibeninsel“ (disc-island) and „Maximiliansinsel“. On the latter, so called "dream weddings" take place and Alex fulfilled his own one inch slackline dream by walking that line. Here you can watch two nice reports from german TV-stations BR and SkySport.